An ongoing exhibition in Yangon tells the history of photography in Myanmar through a display of images taken over the past 120 years. The “Burmese Photographers” exhibition, curated by Austrian artist Lucas Birk, is being shown as part of the Yangon Photo Festival 2018, which opened last Sunday in the former Yangon Secretariat building. 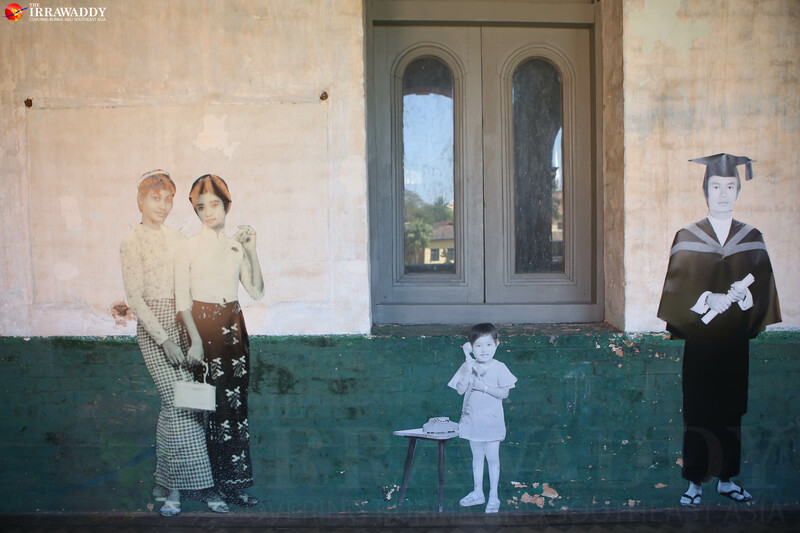 The exhibition displays the history and development of Burmese photography, showcasing the way it has changed through different eras and offering a more personal record of movements and events that are already familiar to us from history. 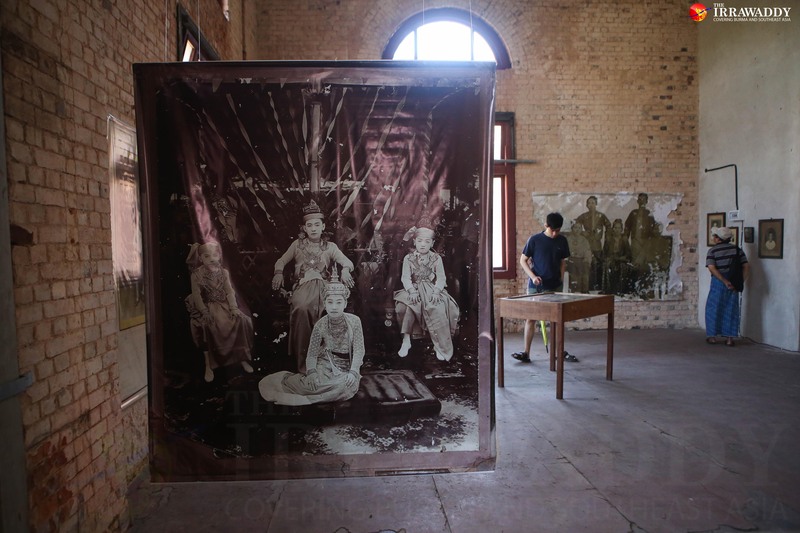 “I got the idea for this exhibition while I was doing the Myanmar Photo Archive project, that is collecting Myanmar photographs and researching Myanmar photographic history,” Birk said. He started the project in 2013 with the goal of archiving the work of Burmese photographers both during and after the colonial period. The photographs collected by Birk include studio portraits, amateur shots from personal collections, as well as press and advertising materials. So far he has gathered more than 100,000 photos by meeting antique traders, going to flea markets, and searching through the collections of photographers. The “Burmese Photographers” exhibition includes around 300 photos from Birk’s archive. For some of the photographs, the identity of the photographers is unknown. “We can’t know all of the photographers and it’s not easy to give them credit. Some photos include a photo studio name or [other] remarks,” he said. 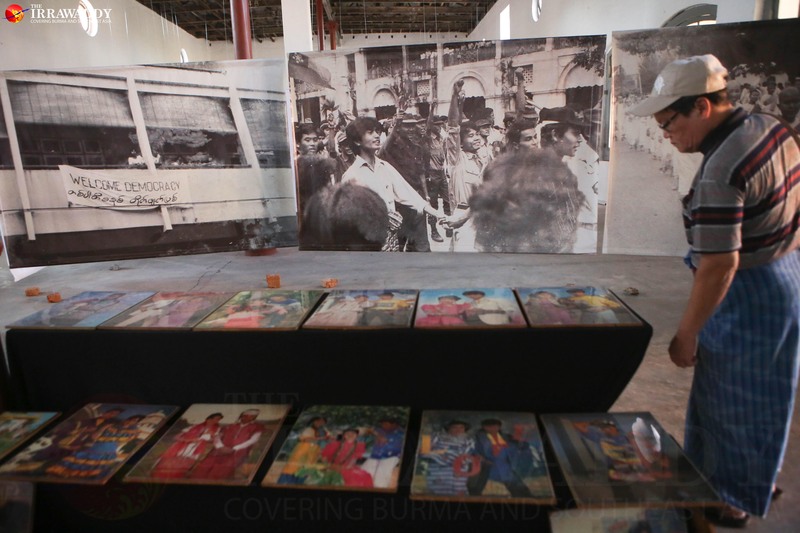 The exhibition offers a photographic tour through Myanmar’s history, from the first room, which features images from the colonial era, to the last, which displays shots from the 1970s that capture the culture and fashions of that time. D.A. Ahuja and his family operated a photography business in Myanmar for over 120 years (1885-2007), and their photo postcards form an important part of the aesthetic legacy of the colonial period in Myanmar. The family probably has its origins in what is now Pakistan, according to Birk’s research. Photography was first brought to Myanmar by British Army physician John McCosh in 1852. From then into the 20th century, albumen paper was the most important material used to make photographic prints. At that time, it wasn’t easy to obtain albumen paper. The very time-consuming and labor intensive process of making it was taken over by McCosh’s Burmese assistants. In 1915, U Ohn Maung, an assistant to the photographer D. A. Ahuja, opened his own photo studio, the London Art Studio, which according to Birk was probably the first Burmese-owned photo studio. Soon after, U Pu opened the first Burmese-owned studio in Mawlamyine, named National U Pu. After that, many photo studios including Ko Lay Photo Studio, Sandah Art, Them Jin Studio and Oriental Studio were established in and around Yangon, Mandalay, Pyay and Mawlamyine. “The main point of this exhibition is to show the development of Burmese photographers’ skill, standards and technology [by displaying their photographs] in the one place. So all of these photos were taken by Burmese photographers,” Birk said. The next stage of the exhibition focuses on the period of World War II, which ended in 1945, and the struggle for Burmese independence. The photos are shown in the form of still images and through short films. In another room, filmed photo essays, mostly by young local photographers, are shown. The exhibition includes a replica of a colonial-era photo studio. This installation is a popular place for visitors to the exhibition to use as a backdrop for their own photographs. 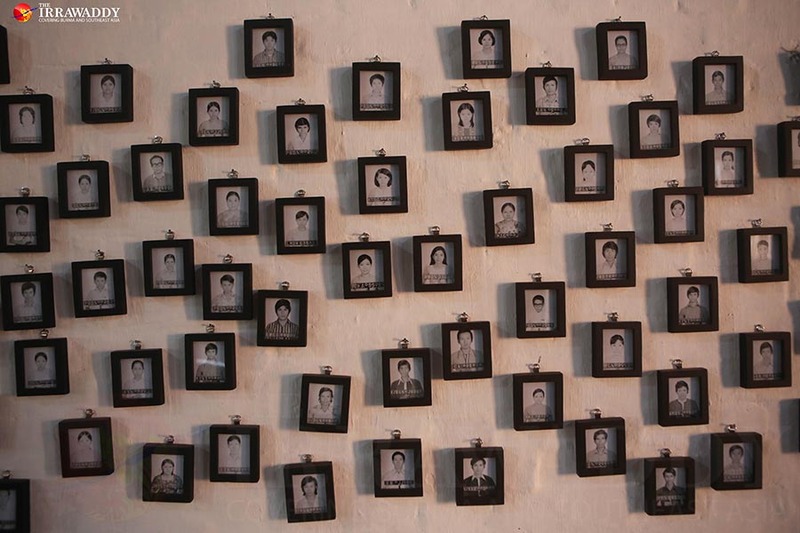 The last room houses a series of photos taken since independence, including images documenting the country’s economic development and the photo IDs people needed to obtain work. During this era, photo technology changed and many people opened photo studios or began to take fashion photography seriously. This marked the beginning of an image-conscious culture that remains with us. This last room also houses examples of the work of contemporary photojournalists, which serve as evidence of how much the standards of photography in Myanmar have improved. “This is a really great exhibition for me. I’m also interested in photography — that’s why I came here. I learned a lot about the history of Myanmar photography that I didn’t know before,” said Ko Khant, one of the visitors. He saw the event advertised on Facebook and immediately told himself: “I’m so going there!” — and he did. “I feel overwhelmed, inspired and motivated by the history and all the works displayed,” he said. A companion book to the “Burmese Photographers” exhibition is on sale at the show along with a selection of postcards. The book contains many more historic photographs and further information on the history of photography in this country, making it of interest to history researchers, or anyone else who is looking for more information on this topic. “I hope many people come and see this Burmese cultural archive, which we didn’t have until recently. 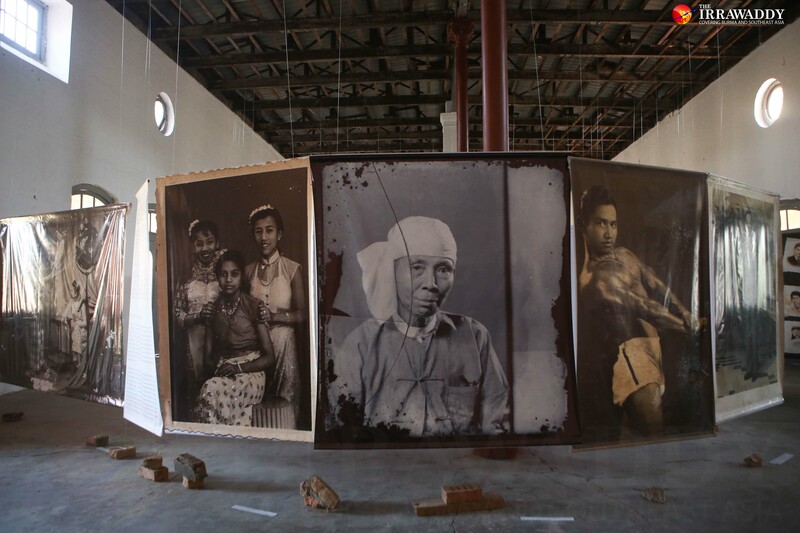 I hope through this exhibition people will get inspired to collect old photos in their private archives, or I will be happy [to oblige] if they want to save their photos in my Myanmar Photo Archive project,” Birk said. The exhibition is open and runs until March 11 at the former Yangon Secretariat building. Admission is free.